Microtech's Currahee knife is built like a tank. 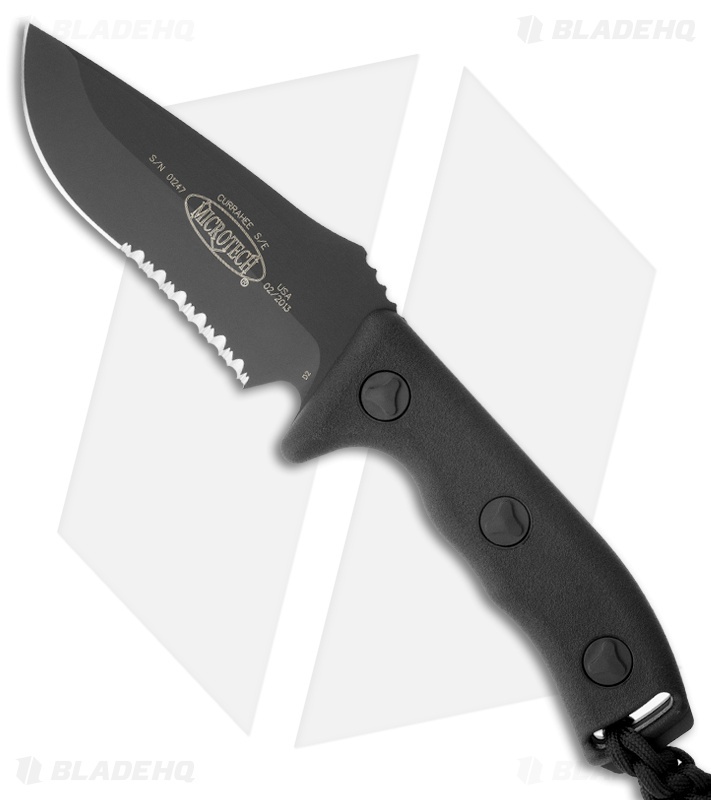 It has a full-tang Elmax steel drop point blade with a partially serrated edge. The black composite polymer handle is outfitted with a lanyard and knocker bead. 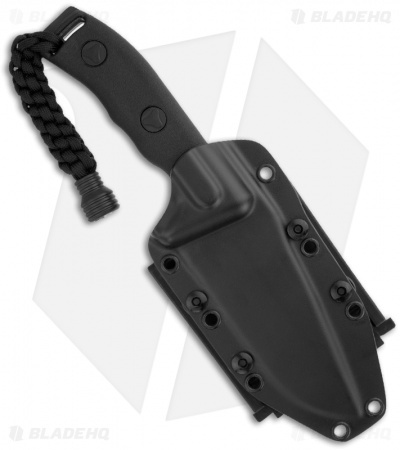 Includes heavy duty sheath with MOLLE locks.